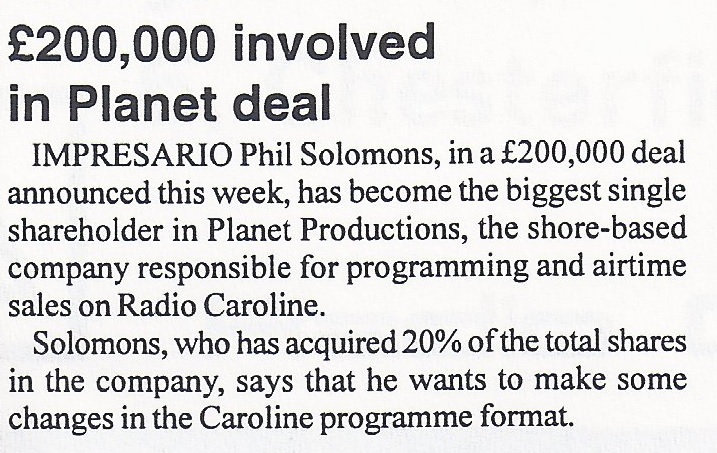 In February 1966 Radio Caroline's management company, Planet Productions Ltd. ac quired the services (and financial investment capital) of a new full time working director, Philip Soloman, who had previously worked for Decca Records and had been an agent and concert promoter, mainly for Irish groups, including The Batchelors. 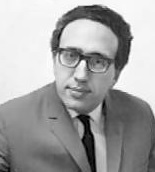 One of Soloman's early initiatives was to launch a record label - Major Minor - which would be used by Radio Caroline to extensively promote unknown artists. Contractual problems delayed the launch of the Major Minor label until November 1966, when both Caroline stations suddenly began to heavily plug its first two releases by relatively unknown Irish groups. A deal was struck in May 1966 between two other offshore stations - Radio London and Radio City - to launch a third station, UKGM ,with an easy listening format, on 1st July 1966. 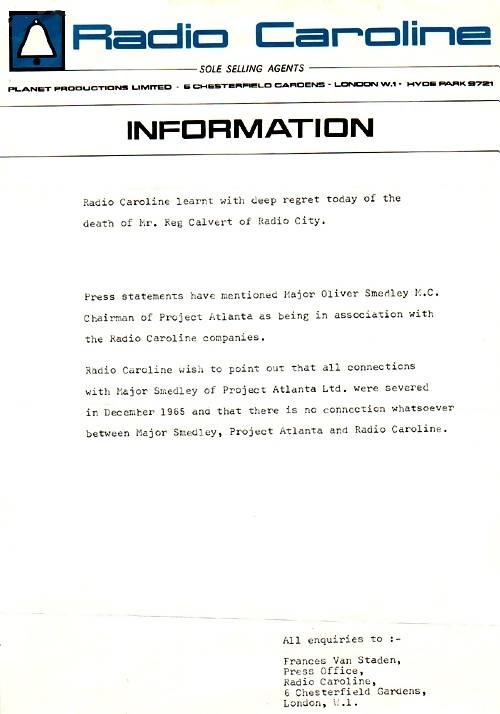 However, the plans did not go ahead quite as envisaged - it came to light that, as well as negotiating this deal with Radio London, Radio City’s owner Reg Calvert had secretly continued to have parallel negotiations with Major Oliver Smedley of Project Atlanta - the original organisation behind Radio Atlanta in 1964 and Radio Caroline from July 1964 until December 1965. Previous negotiations between these two men had resulted in September 1965 in the joint Radio Caroline/Radio City advertising sales fiasco and the delivery of an obsolete transmitter to the Shivering Sands Fort by a team from Project Atlanta. However, in an argument over ownership of the obsolete transmitter Radio City was put off the air by a boarding party in June 1966 and Reg Calvert made threats of violence at a meeting with Project Atlanta and Radio London. In a subsequent incident Reg Calvert was shot dead by Major Oliver Smedley. (See Radio City for the full story). In the light of this series of events the government felt forced to take some action and the Bill to outlaw offshore broadcasting stations - the Marine etc. Broadcasting (Offences) Bill was introduced into the House of Commons on 27th July 1966 and received its formal First Reading. Radio Caroline condemned the Bill as "spiteful, unimaginative and a negation of basic freedom that seeks to put an outright ban on the enjoyment of 25 million regular listeners to offshore radio, without submitting any alternative proposals for satisfying the legitimate demand." At the same time the station engaged a public relations company to help it fight the legislation when Parliament reassembled in the autumn. Meanwhile, Radio Caroline, having distanced itself from the Radio City affair by issuing a press release stating that all connections with Project Atlanta and Major Oliver Smedley had been severed in back in 1965, continued to consolidate and improve its own programme format, particularly on Caroline South. Following the refurbishment of the Mi Amigo, the introduction of a new wavelength (259m) and a more powerful transmitter in May 1966 the output from Caroline South improved enormously under the guidance of a new Programme Director, Tom Lodge, who had brought down from the North ship by Ronan O'Rahilly. Tom Lodge recruited a new team of DJs and he introduced the same style to the South ship which had proved so successful already on Caroline North. 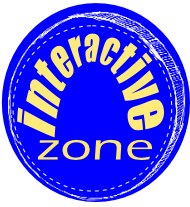 As a result Caroline South started to sound a far more interesting radio station and more in touch with its audience's musical demands than had previously been the case. 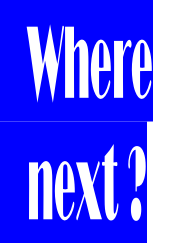 Despite all these programming adjustments one big weakness still remained - a lack of substantial advertising incomeMany big advertisers were still preferring to spend their money with Radio London while Radio Caroline (and Caroline South in particular), although attracting some major brand names, had to rely heavily on small advertisers or in-house promotions for T-shirts, fashion jewellery or Caroline Club membership to fill its commercial airtime. At the beg inning of 1967, I changed my work schedule; week-ends I spent with the family in Toronto, Sunday night I flew to London, landing around 7.00am and going straight to the office. I worked Monday through Friday and flew back to Toronto on Friday evening.